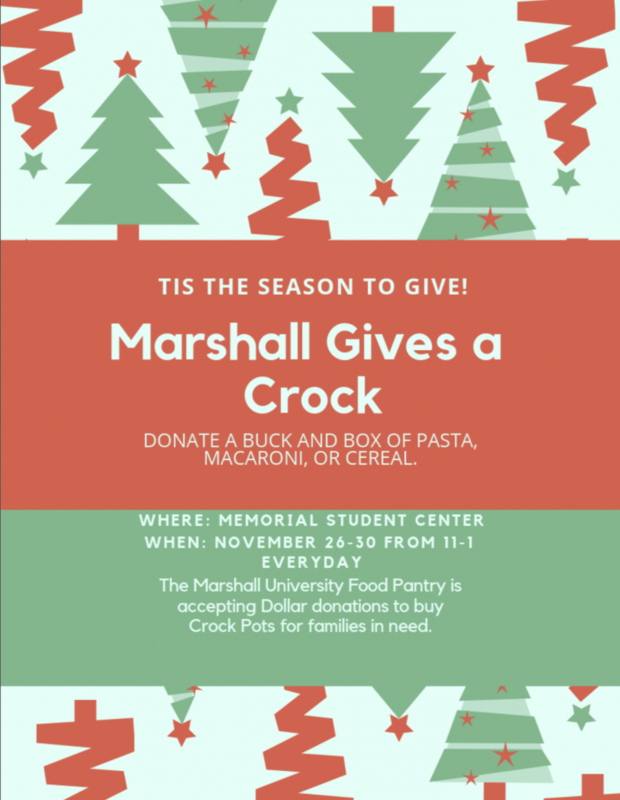 Our Marshall University Department of Dietetics needs your help! They are accepting dollar donations as well as pasta, cereal or macaroni for their food pantry. All monetary donations will help buy crockpots for families in need.